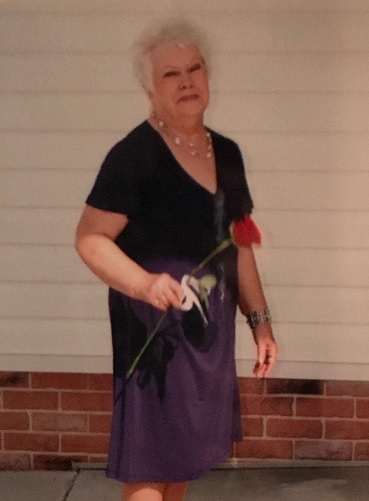 Geraldine Branch McKeithan, 81, of Fayetteville, entered into eternal peace on November 13, 2018at First Health Moore Regional Medical Center in Pinehurst. She is survived by her husband, James E. McKeithan of Fayetteville; son, Anthony Wright of Lumberton; stepson, Wade McKeithan of Asheville; daughters, Angela Wright of Newton Grove, Lisa Harvell of, Dallas, NC, Kim Breswitz of Fayetteville, Robin Jordan of Georgetown, SC, Tammy Venturella of San Antonio, Texas and Victoria Certain of Fayetteville; brothers, J.R. Wilkins of Conway, SC, Frank Wilkins of Grays Creek, NC, Jackie “Red” Wilkins of Whiteville, NC; sisters, Martha Shatley of Fayetteville, Brenda Evans of Whiteville, NC and Louise Stokley of Whiteville, NC. She also has 10 grandchildren, 9 great grandchildren and a host of other family members and friends. She was preceded in death by her mother, Sadie Branch and two daughters. A Celebration of Life Service will be held Thursday, November 15, 2018 at Lafayette Funeral Home in Fayetteville beginning at 5 o’clock. Visitation for family and friends will be held at the funeral home from 4:00 PM until 5:00 PM prior to the service.